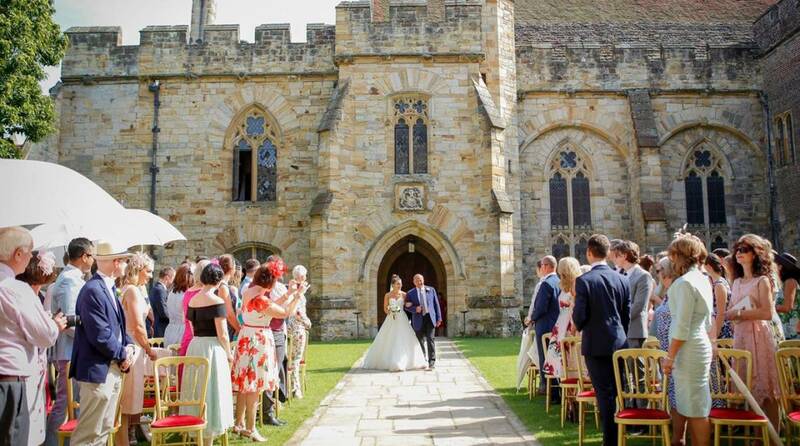 Nestled in the Weald of Kent, Penshurst Place & Gardens has been standing since 1341 when the awe-inspiring Baron’s Hall was completed, before being joined by the 11 acres of formal gardens and further staterooms. We’ve been hosting beautiful weddings and receptions for over 30 years, and in that time have been privileged to witness hundreds of happy couples begin their married lives together. Working exclusively with partner caterers Kudos, we invite you to celebrate your ceremony and reception in our unique venue, combining 11 acres of beautiful formal gardens, with country house charm. 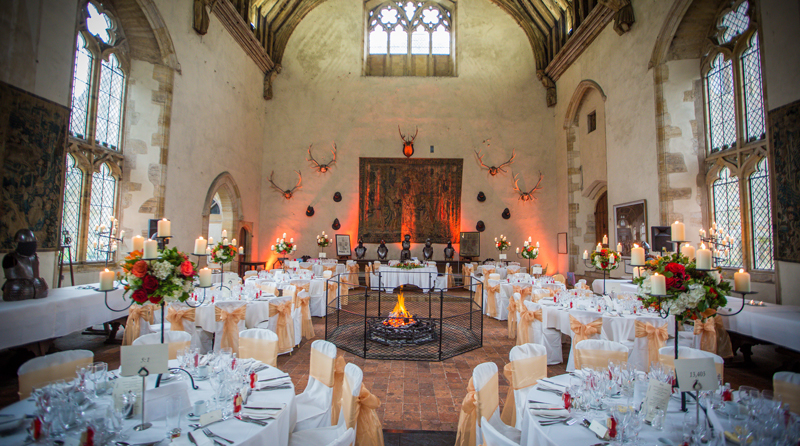 Completed in 1341, the Baron’s Hall is a breath-taking medieval room befitting a fairy-tale location. Crowned by a 60 feet high original chestnut beamed ceiling, the Baron’s Hall seats 136 for dining and up to 200 for a ceremony. Secluded from the public and hidden between the ancient walls of the house lies the intimate Inner Courtyard. A beautiful setting for an outdoor ceremony or drinks reception, the Courtyard is framed by colourful Roses and wonderfully scented peonies. 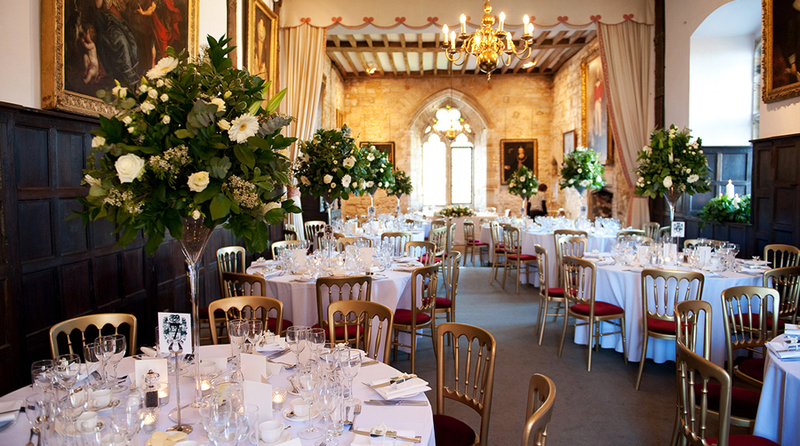 With beautiful sandstone and wooden panelled walls, the Sunderland Room sits atop a spiral turret staircase and much like the Baron’s Hall can be used for both ceremonies and receptions, seating up to 88 guests for an evening meal. Discover the beauty of Penshurst Place in the Winter in the comfort of a luxuriously lined and heated Marquee in the Inner Courtyard. 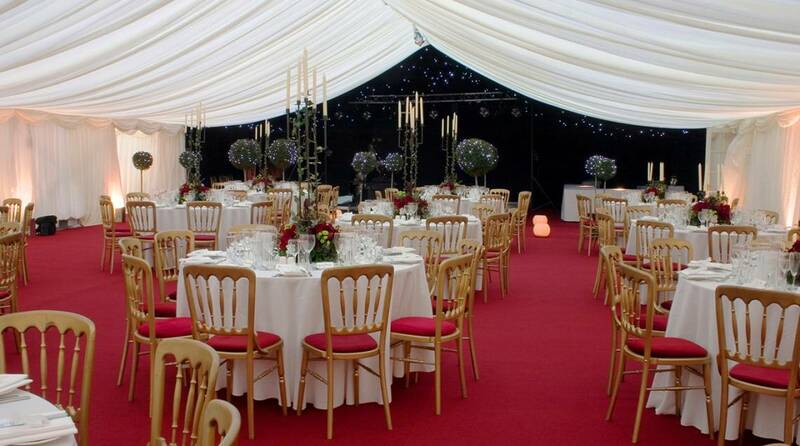 Fully customisable, the marquees are a beautiful addition to any winter wedding and offer the largest capacity for seated dining. The Buttery is just perfect for small weddings, offering beautiful bricked walls, a large fire place and antique tapestries hanging upon the walls.